We recently received a large shipment for UFIP Cymbals. UFIP is an Italian Cymbal maker, well-known for creating great sounding cymbals using their patented rotocasting technique. 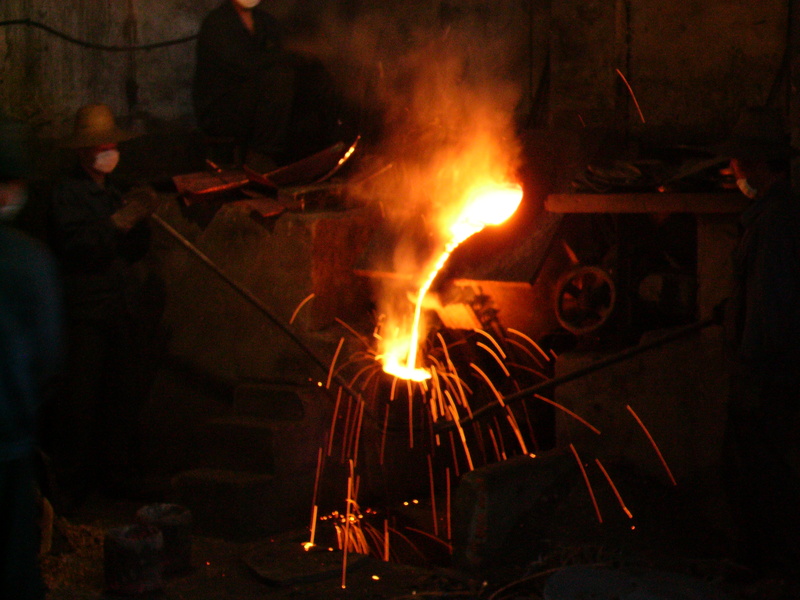 The rotation uses centrifugal force to push the impurities, which are present during the casting process, towards the outer edge of the cymbal, and are then eliminated during the turning process. Our cymbal vault now include Bosphorus, Dream, Paiste, Sabian, UFIP, Steve Weiss and Zildjian, resulting in one of the highest quality selections of cymbals in the country. We recently received a large shipment of Dream Cymbals. The Dream Line of Cymbals, while new to the U. S., are among the best hand-crafted western style (sounding) cymbals to come on the market in many years! 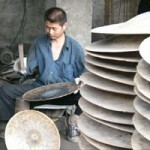 Their foundry is located in Wuhan China, a region well known for the gongs and lion/china type cymbals that are so much a part of Western music now. In fact, this region has been the source for the world famous Steve Weiss gongs and china cymbals for many years. Through extensive design study Dream Cymbals has fused their traditional Chinese alloy with Western designs to put Western sounding rides, crashes, hi-hats along with orchestral quality pairs and suspended cymbals on the market and on the map! Many drum set players and orchestral artists who have used or endorsed the traditional makers have begun exploring these cymbals and incorporating them into their arsenal of sounds. In fact, notable player and educator Gordon Stout has recently begun endorsing the Dream Orchestral Cymbals, part of which added support to our idea of carrying their orchestral items. This recent shipment from them includes the Bliss and Vintage Bliss series designed primarily for drum set applications, along with their lines of orchestral cymbals. In the future, we will look into expanding into their Contact and Energy series for drum set. For your reference we’ve included a brief description of the lines we offer below. If you would like further clarification on the models we encourage you to call us and we’ll be happy to help you find your Dream cymbal! Features traditional Western shape for the bells and profiles of this disc. This is the series that has turned heads among players in the Jazz community as they offer a strong stick sound, the dark shimmer qualities and buttery feel often found in those now legendary Turkish Jazz cymbals of the 50’s & 60’s. This series pays homage to the Turkish cymbals of the early 20th century by featuring an antique Flat bell and profile shape. 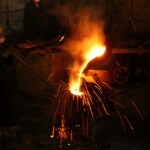 This series offers the player a very complex and dark wash sound. The stick sound can be minimized in leu of wash. Their flat bells bring complexity to the bell sound making them great as crash/ride Jazz cymbals. We also found some of these to make extraordinary Orchestral suspended cymbals. cymbals have less complex wash characteristics yet they retain all the richness of sound associated with a hand hammered cymbal. the orchestral hand cymbal pairs. Of course they are hand hammered as are all the Dream cymbals. Recently I was asked to test out two of Evan’s drumheads newest marching heads: the Evans Hybrid-S Marching Snare Drum Head and the Evans System Blue Tenor Drum Heads. Now, I’m fairly particular about my drum heads, as any serious player would be, and I definitely have my ‘brand of choice’. In my mind, the test drive of these new heads would serve only to reinforce the worthy-ness of ‘my brand’. It’s my pleasure to report however, that this was not the case. The first head I tried was the Hybrid-S snare head. I had heard that the Hybrid heads in general were fantastic, but again, I was skeptical. My skepticism disappeared though after the very first stroke I played and all I could think about was how good it felt. The head really responded well and made playing several more continuous passages seem effortless. It has a slight give to it when struck by the stick that both absorbs my energy and produces a very full sound that was pleasantly warm. The drum seemed to come alive with this Hybrid head. Even when playing out on the edge, the head still returned exceptional snare response. I actually loved it! Even better still, this head sounds big. Currently teaching a smaller line, I couldn’t help but wish I had had this head for marching band season. Up close or far away the Hybrid-S head maintained sensitivity, clarity, dynamic control, and projection. To seal the deal, I played it several more times after the initial test and the head faithfully retained its tuning. The bottom line here is that Evans new Hybrid-S head not only met expectations, it raised them. Excited from my Hybrid-S experience, I was anxious to try out the new Evans System Blue tenor heads. Being primarily a tenor player, I was very eager to get the heads on and tuned up. Before I even put the heads on I was intrigued by the look of this head. A blue to clear fade that not only looked cool but serves a purpose: it allow players to recognize proper playing zones. Once the heads were on it was obvious that like the Hybrid-S, the System Blue heads wouldn’t disappoint. The first thing I noticed with these heads was the tonal clarity from drum to drum. Each drum really spoke well both by itself and when played during around patterns. These heads provided a dark sound with real projection that allows for the tenor voice to be heard within an ensemble. As with the Hybrid-S, the System Blue Tenor heads beautifully maintained their tuning. Most complaints I have with tenor heads is that they either don’t blend well or they don’t have a full sound. The Evans System Blue tenor heads accomplish both. In my opinion, it’s the sound that the marching percussion world has been waiting for. No doubt that Evans has definitely brought Christmas to the marching percussion world early this year with the addition of these two great heads. As for “my brand of choice”. . . . well, I never said I wouldn’t “make the switch“. We’ve created a place on our website to track Black Friday 2010 Deals. We’ve worked out some great deals with most manufacturers for this year. As Black Friday approaches, we’ll be posting some early black friday deals as we get them into stock. Please check back often. Vic Firth has recently introduced some new products, and we thought it would be a good time to feature some of the new Corpsmaster® sticks. Scott Johnson recently parted ways with Vic Firth and his popular signature models, SSJ Snare Drumsticks, SSJ2 Indoor Snare Drumsticks (Scooters), SSJ3 Practice Sticks, SSJTS Vega Tenor Sticks, and SSJTSW Vega Tenor Swizzle Sticks have all been discontinued. However, the same sticks are still available from Vic Firth, only without Scott Johnson’s name attached. Two other recent new products in the Vic Firth Corpsmaster® line are the Vic Firth SBBTS Bill Bachman “Billy Club” Tenor Stick and Vic Firth Lee Beddis Snare Drumsticks. With marching season fast approaching, we thought it would be a good opportunity to create a comparison chart of the current marching bass drum heads from Evans and Remo. Experimenting with different thicknesses, dampening systems, and coatings will help you achieve your desired marching bass drum sound. When you increase the thickness of the head, you increase the articulation and get a more focused, lower fundamental tone. 1. Remo Smooth White Ambassador Marching Bass Drum Heads come stock on marching basses from most manufacturers, including Pearl and Yamaha. 2. External/Internal Dampening can be added using Yamaha MA200 Tone Foam or Pearl TS14 Tone Foam. We would love to hear your opinions on the different types of marching bass drum heads available. Please post in the comments section below. The OffWorld Percussion Invader V3 Practice Pad has been taking the percussion world by storm since its introduction. The OffWorld Invader V3 features the most realistic feel to a marching snare on any pad that we’ve tried. The Darkmatter™ playing surface and realistic rim make this pad a must-have. The OffWorld Invader is the only snare drum practice pad that we know of that features a realistic, marching style rim. The rim is made of high pitched plastic to accurately replicate the sound of a rim shot. We believe that this pad will help you develop your hands more then traditional gum rubber pads, because of the lower amount of rebound from the playing surface. This is a fairly loud pad, so we wouldn’t suggest it for silent practice. However, it is very articulate and allows you to really hear what your playing. Placing the pad on top of a marching snare drum allows your drum line to practice at lower volumes, while still developing their hands as they would on a kevlar style drum head. A great pad that is definitely worth the price. Gearing up for marching band season? Nothing is better than getting an early start on building your chops, writing your drums books, and finding new, innovative ways to teach your drum line and front ensemble/pit. We have compiled our best marching percussion resources to help get you started! From snare drum, tenor, and bass drum books, to warm-up guides, famous drum corps cadences, and complete front ensemble guides, there is something for everyone. We carry a full line of books and DVD videos that will help enhance all of your drum line’s skills. These incredible resources come from some of the top names in DCI and university percussion sections such as Bill Bachman, Thom Hannum, Jim Casella, Jim Ancona, John Wooton, and many more. Looking for new ways to challenge yourself or your students? We have also included a selection of modern rudimental and marching drum solo collections for those looking to raise their skills up to the next level. Writing your own percussion arrangements? Be sure to check out Tapspace Virtual Drumline software. Featuring the world champion percussion section of the Santa Clara Vanguard, this incredible piece of software gives arrangers the most powerful sonic tools available to aid in their writing process. This collection of sounds has become the industry standard for marching and concert percussion sounds. Virtual Drumline works with both Finale and Sibelius software and templates for the newest versions of each are available from Tapspace. When you’re finished checking out the marching percussion resource center, be sure to browse around our great selection of marching sticks, mallets, and practice pads as well! Get all the tools you need for a successful season right here at Steve Weiss Music. One of our employees, Bill, had this Philadelphia Flyers Custom Gong made. Looks and sounds great. 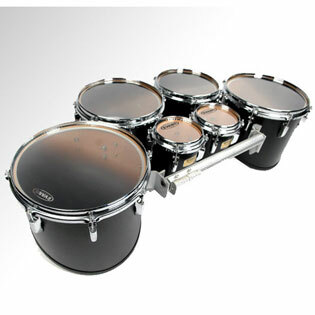 At the 2010 NAMM Show, Pearl is debuting its all-new electronic drum set: Pearl E-Pro Live. Pearl E-Pro Live is a revolutionary electronic drumset that looks, feels and sounds like real drums. Never before has today’s drummer been offered the limitless sonic capability and realistic feel of electronic drums on a drumset built with real drum shells, real brass cymbals, and real drumset hardware, all from the percussion industry’s leader, Pearl. Anyone who has teaching experience or has played in a Marching Bass Drum section has come across the seemingly lifelong issue of…..why do I have to keep spending money on replacement Bass Drum Mallet Holders that keep breaking? The less-than-sturdy plastic clips on most Mallet Holders break easily caused by anything from the weather to simply using them too much. And most of the time, they break at the worst possible time….on the final run-through before the field show begins. Well, a concerned parent of a high school Bass Drummer in Ohio decided that there must be a way to stop spending money on holders that break and built a better Bass Drum Mallet Holder that will save you hundreds of dollars in budget spending. The Mallet Minder is definitely the “better mouse trap”. Made of durable TPE (thermoplastic elastomer), the Mallet Minder is designed to be (and absolutely delivers) reliable, quiet, affordable and esthetically pleasing to look at. This Bass Mallet Holder has been field tested for two years in all kinds of weather conditions and has held up against everything a drum line can throw at it. If you want the answer for spending money just once on mallet holders for your bass drum line, then check out the Mallet Minder…..you won’t be disappointed.